"The worst fear of all is the fear of the unknown," said Charlie Taylor, recalling how he felt before his company made its fateful trip up the Rach Ba Rai in September 1967. "I got physically ill the night before every operation, and this one was no exception." Taylor, a lieutenant in C Company of the 5th. Battalion, 60th. 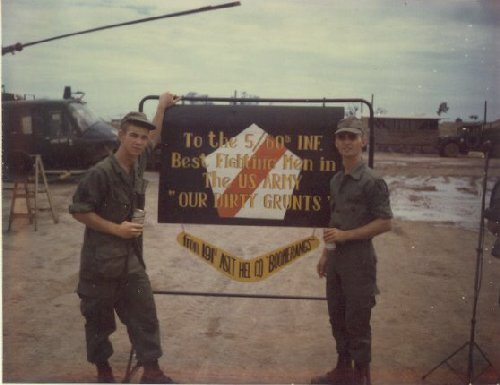 Infantry Regiment – nicknamed the "Go Devils" during World War II by the Germans – was part of the force that moved against enemy positions on the Rach Ba Rai, a river in the Mekong Delta, on September 15, 1967. The riverine action occurred just north of a hairpin bend in the river called Snoopy's Nose, located north of where the Rach Ba Rai converged with the Mekong River. The American forces were led by Lt. Col. Mercer M. Doty, who had not only C Company at his disposal but also A and B companies, 3rd. Battalion. Sergeant Tony Haug recalled the night before the Rach Ba Rai mission as well. Haug, another member of C Company, recalled: "I was nervous, and checked on my men to make sure they were all right. I had a tendency to sleep when I experienced that type of anxiety, and I remember thinking how reassuring the drone of the engines and the diesel fumes were as I drifted off. I had lots of confidence in the men, as I had trained them in the States and taken them over myself. All in all, I felt pretty safe the night before we lit out." In general during that period, Taylor, Haug and the rest of C Company seldom felt secure. The Rach Ba Rai encounter came right on the heels of another enemy confrontation just a few days earlier. During a three-day operation, the battalion had been involved in an L-shaped ambush that had proved costly. During the previous battle, C Company had been trailing A Company, which was abreast of B Company. Taylor recalled the September 12 encounter as "a hot firefight to say the least. A Company lost a lot of people, and I earned my first Bronze Star." The above is the first five paragraphs of the article "Mekong Delta Ambush on the Rach Ba Rai" in the August 1999 issue. The above was printed with the permission of VIETNAM Magazine.